Rubin, who helped co-found Android before it was acquired by Google in 2005, has been teasing his Essential Phone for some months. Its aim is to bring “real passion and craftsmanship” back into the smartphone industry. The story behind the Essential Phone is much more interesting than that, though. Rubin says he came up with the idea of building his own handset during a night out with a friend. Android, for all the good it has done in bringing technology to billions of people worldwide, has also helped create “this weird new world where people are forced to fight with the very technology that was supposed to simplify their lives,” he continues. So, Rubin set about fixing this mess. He wanted to create a smartphone that is truly personal, plays well with other devices from third-party manufacturers, is built from premium materials, doesn’t become outdated every year, and makes your life better. The result is the Essential Phone. Essential Phone wants to make your life simpler. The first thing you’ll notice is its unique display. It’s edge-to-edge like the Galaxy S8’s or the LG G6’s, but instead of stopping at the front-facing camera, it wraps around it to meet the top of the phone. There’s a small bezel beneath it, but it mostly covers the entire front of the phone. On the back of the device, there’s a fingerprint scanner, an LED flash, and dual cameras like the iPhone 7 Plus. 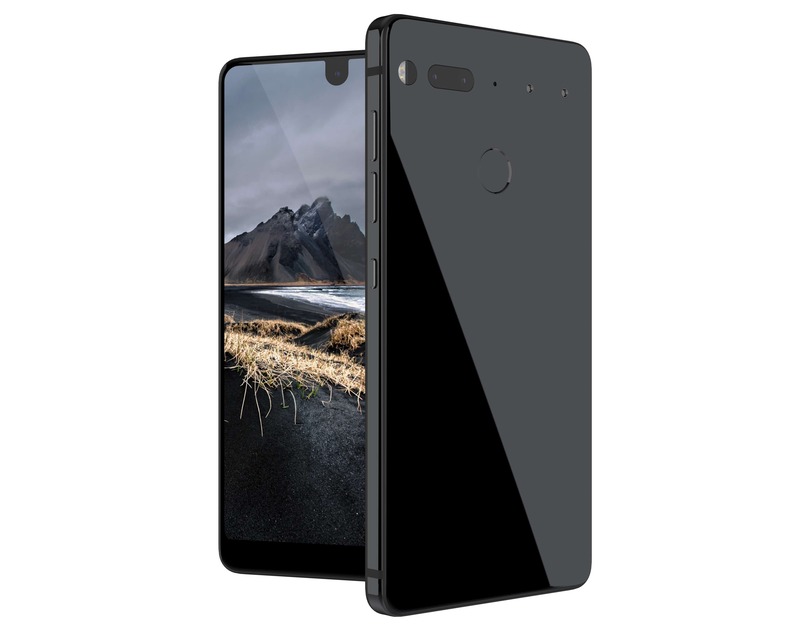 But unlike the iPhone, the Essential Phone uses a secondary monochrome sensor that allows it to absorb more light for better low-light photos. You’ll notice two connectivity pins, too. These allow you to connect magnetic, modular add-ons that provide additional functionality. 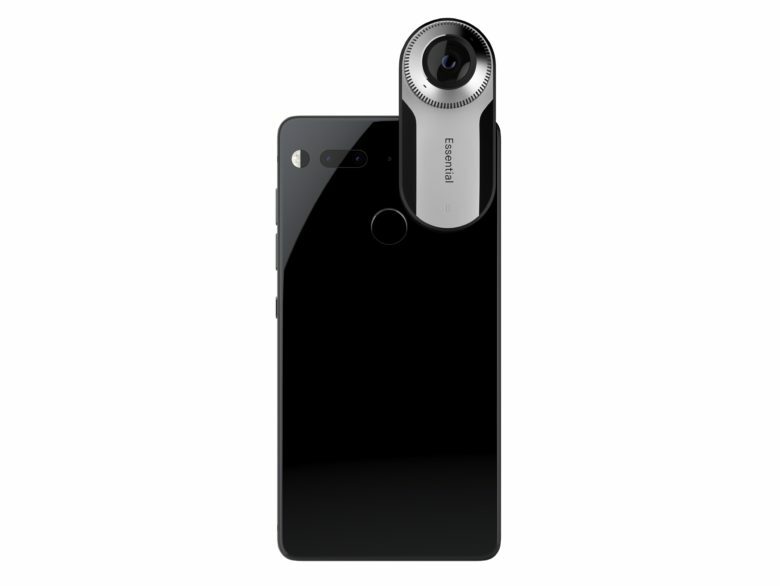 Essential will ship with a 360-degree camera add-on, while a charging dock will be sold separately. Inside Essential, you get Qualcomm’s latest Snapdragon 835 processor, 4GB of RAM, and 128GB of storage as standard. Its rear cameras are both 13-megapixel sensors, and there’s an 8-megapixel camera on its front that can shoot 4K video. There is no headphone jack, but like the iPhone, Essential will ship with an adapter. The device uses USB-C connectivity, but it is pushing for a world in which we’ll transfer data (and power) wirelessly using convenient connectivity pads. Essential Phone’s 360-degree camera add-on. All these things were added in an effort to make your life easier. Instead of upgrading every year for new features, you just buy new add-ons. Instead of hunting for cables that are forever breaking, you connect wirelessly. Whether Essential succeeds at everything it aims for remains to be seen, but it’s yet another smartphone in 2017 that pushes the boundaries. If you’re an iPhone fan, it makes Apple’s existing lineup look even more outdated and in need of big changes. Apple will finally acknowledge that this year with the iPhone 8, but with every high-end Android that hits the market before its September unveiling, competing becomes even more difficult. Other features include Bluetooth 5.0 LE, NFC, four microphones with noise cancellation, a Quad HD display, and a 3,040mAh battery with fast-charging. 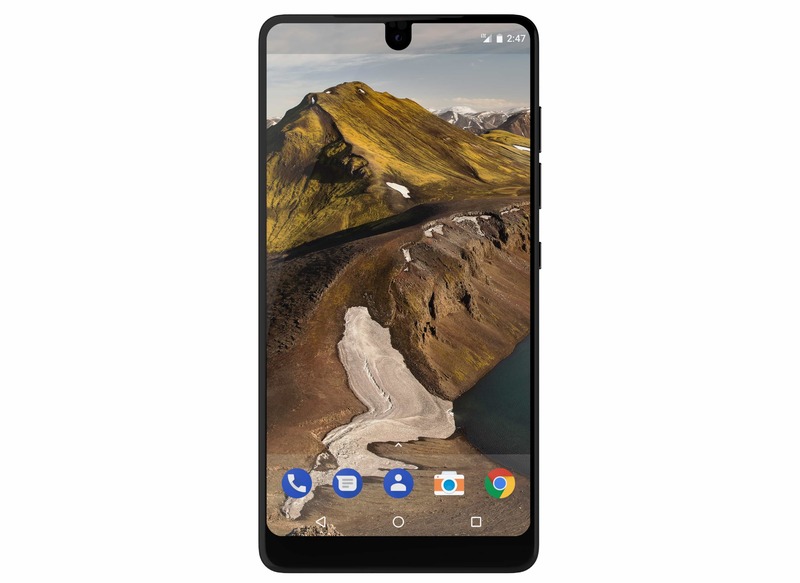 You can register your interest in Essential now. It will initially be available only in the U.S., where it will cost $699 on its own, or $749 with the 360-degree camera. There’s no word on when it will be coming to other regions just yet.